Since its inception 34 years ago, the Woods Tennis Center mission has centered around “taking the game to the community.” Over the years, we have collaborated with numerous community partners to provide tennis lessons across the city, looking for ways to introduce members of our community to this healthy, lifetime sport as well as continue growing its popularity. Promoting our mission, we are excited to announce a new partnership with a California-based nonprofit, ACEing Autism. 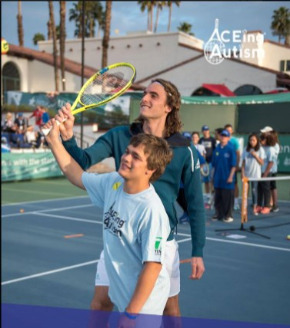 Through this new relationship, we will be offering an adaptive tennis curriculum for children on the autism spectrum. Our goal is to provide an hour of fun, adaptive tennis to the children and an hour break for parents, during which they can watch their child develop into a tennis player! Each lesson aims to develop children’s motor skills, hand-eye coordination, build confidence and improve their general socialization, all within a fun, controlled environment. Lessons are adapted to each child’s specific development needs, with every child assigned to his or her own volunteer instructor. Backed by research, the program builds a sense of community and teamwork. During all the lessons, a tennis racquet will be provided for each child to use and they will receive a t-shirt to take home with them. At the end of each program session, an awards ceremony will be held to celebrate each child’s unique and individual progress. Our first session will be held on Saturdays from 2:45 to 3:45 pm beginning on April 13th and run through May 18th. The cost for the six-lesson session is $100 to help cover court usage costs. Keeping in line with both the missions of Woods Tennis Center and ACEing Autism, scholarships are available upon request, ensuring that every child has the opportunity to play the sport regardless of his or her background. 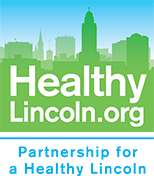 If you would like more information regarding how to become involved as either a participant or a volunteer, please contact us at aceinglincoln@gmail.com. Woods Tennis Center continues to look for new partners to provide programming across the community. If your community-based organization is interested in working with us, please email our Community Outreach Director, Kaitlin Roselius at kaitlin@woodstenniscenter.com or call her at (402) 441-7095.